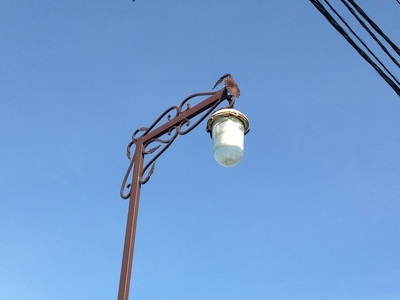 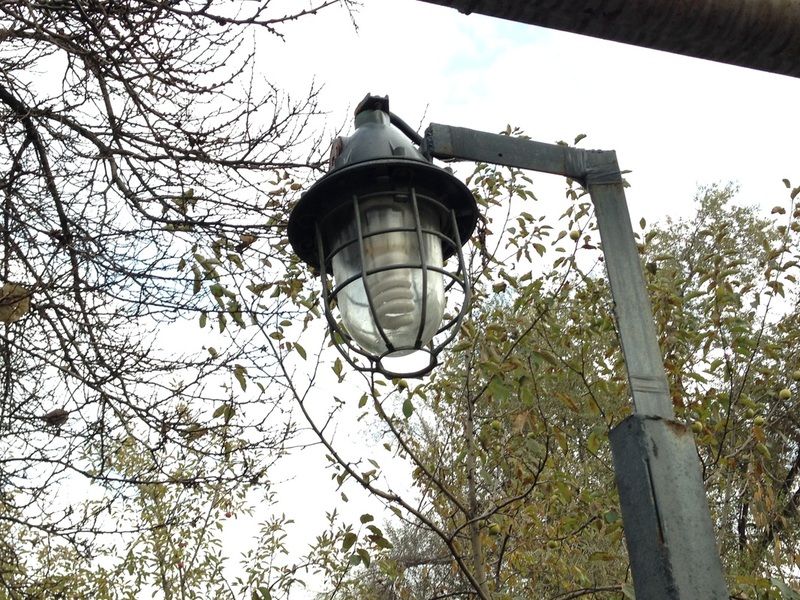 These outdoor lights seem more romantic if you call them "lanterns", and while they've got bulbs inside and not candles, they hang just like lanterns so they've surely earned the name. 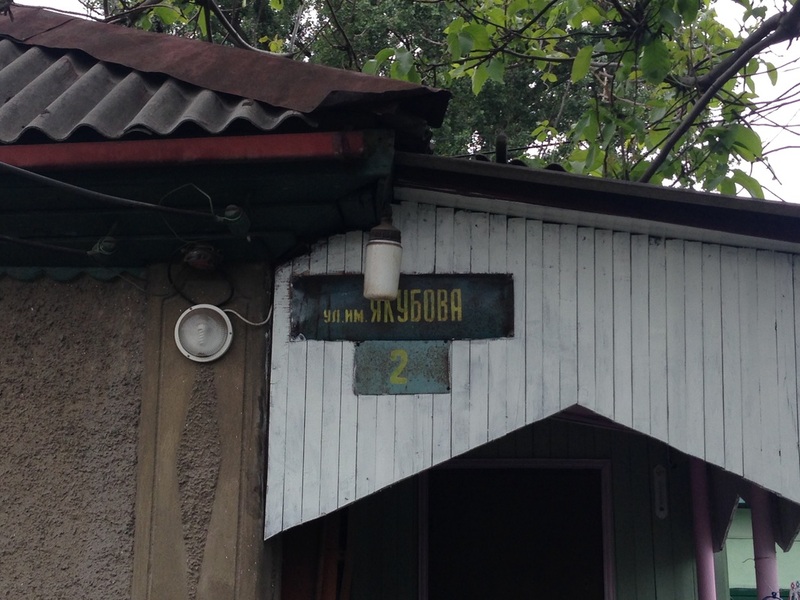 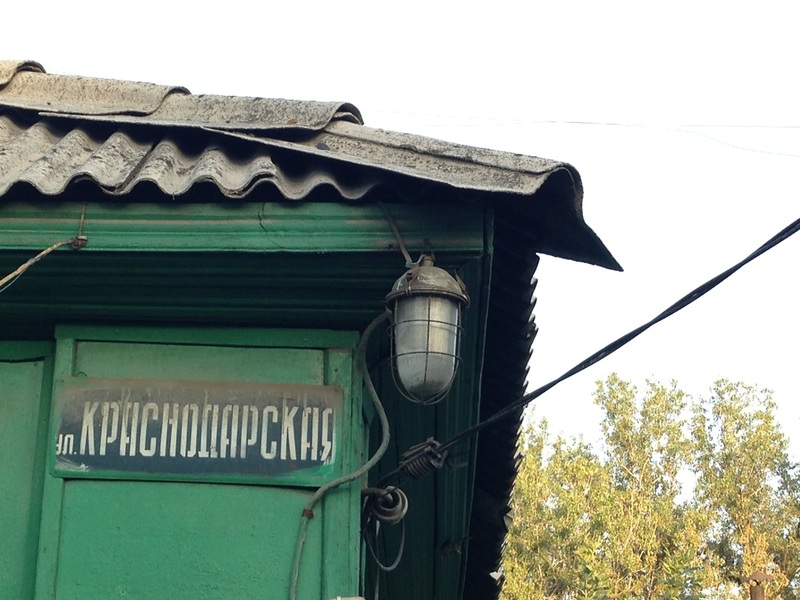 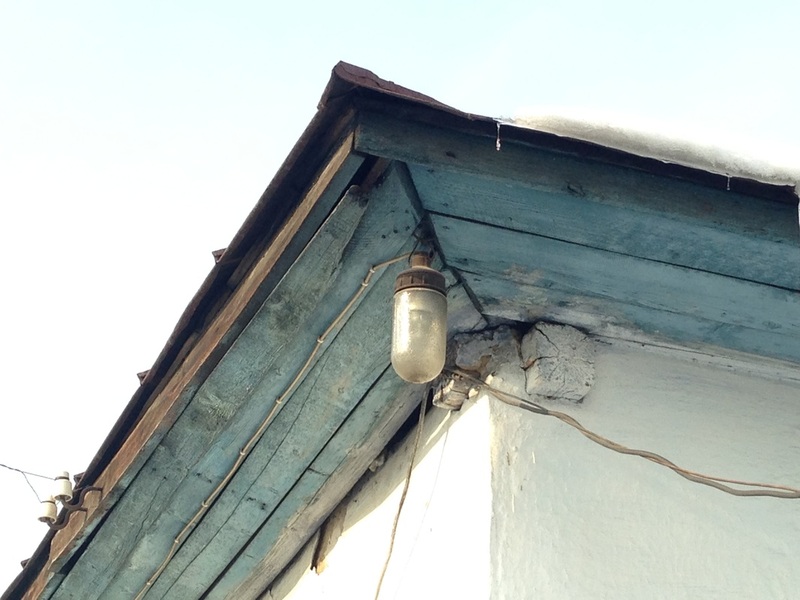 In Russian you'd call one a fonar [фонар], but it gets tricky because this word is also used for flashlights and there are competing terms as well, like svetilnik [светилник] and lampa [лампа]. 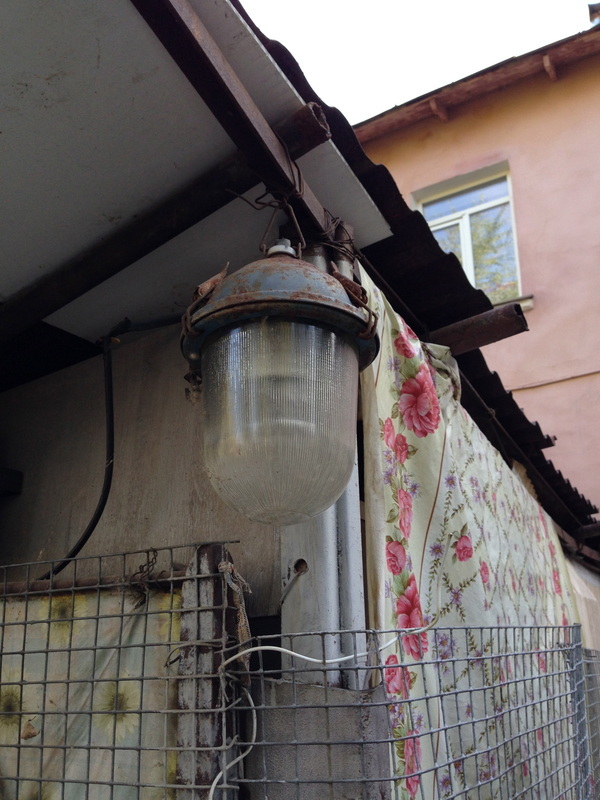 Some sources say these other terms should be reserved for indoor lights, but I've seen these icons of Almaty luminescence on sale under each of these names. 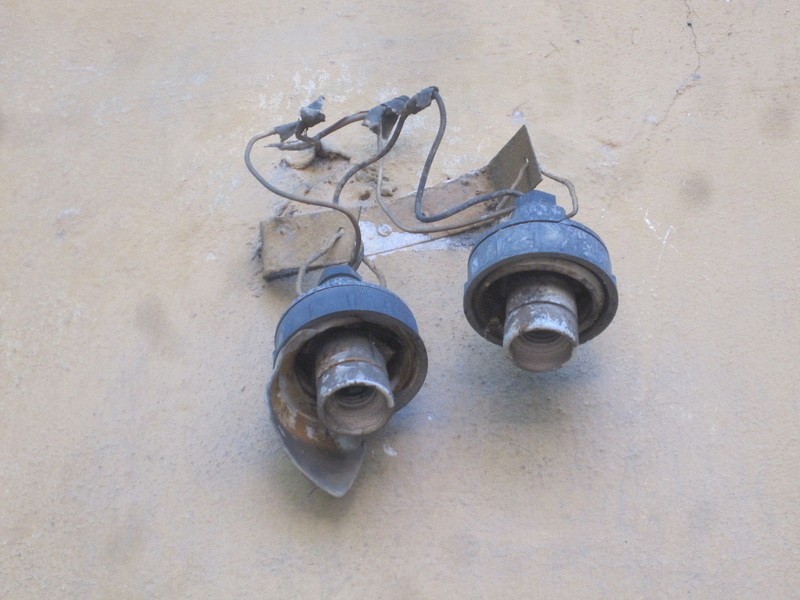 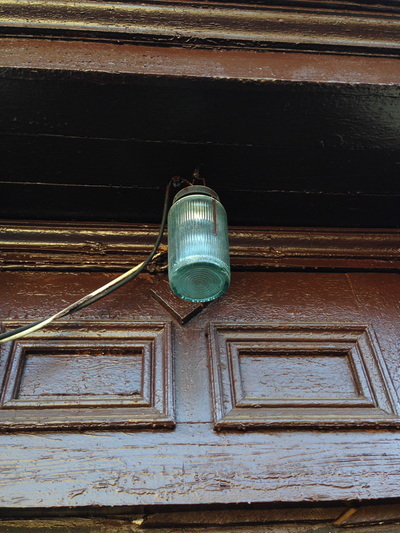 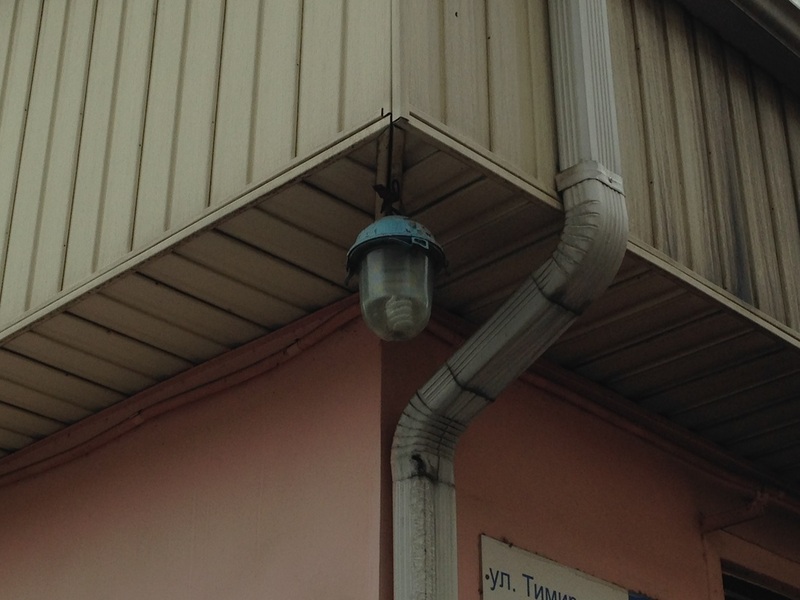 In apartment blocks, the entrances to stairwells have little porticos that need illumination at night, so lanterns are a common site in the center of the city, especially in older installations. 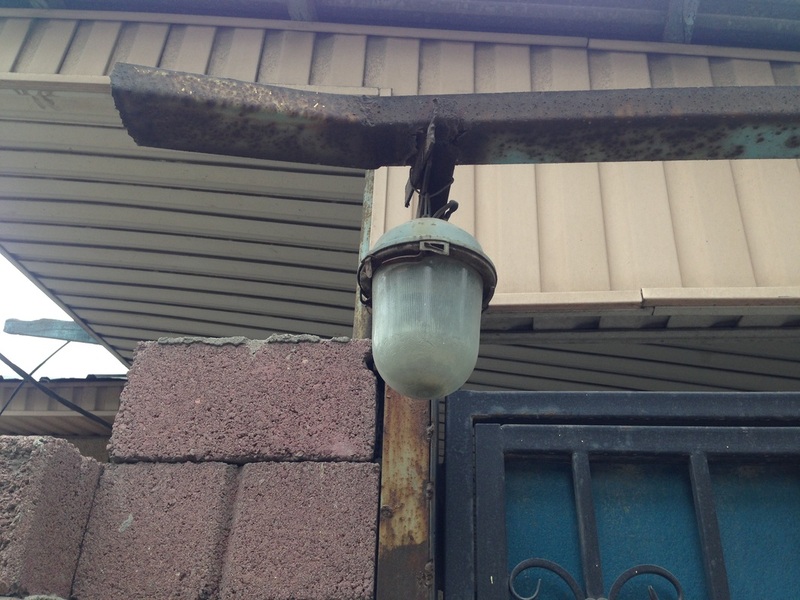 In suburban neighborhoods, the distinct lights can be seen hanging from eaves, positioned to brighten a courtyard and reveal any nocturnal visitors. Sometimes they are flat-bottomed, looking for all the world like mason jars trapping fireflies; other times they curve into a semisphere. 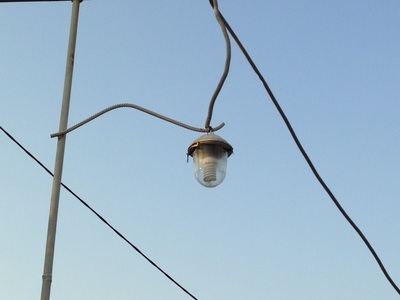 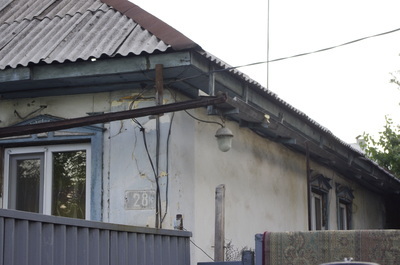 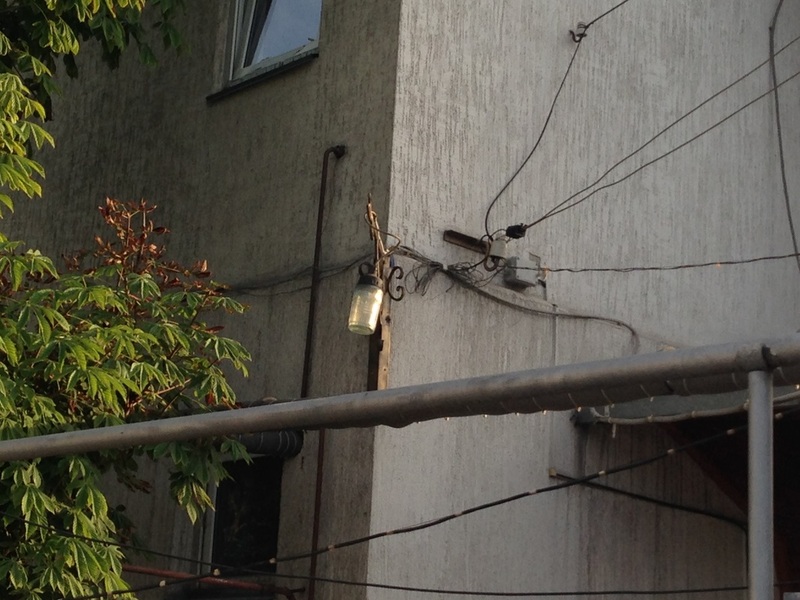 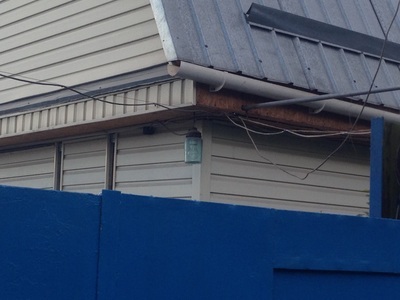 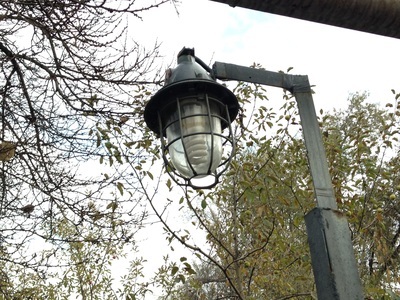 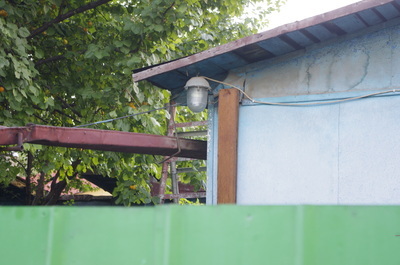 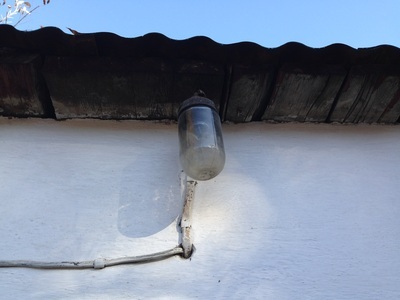 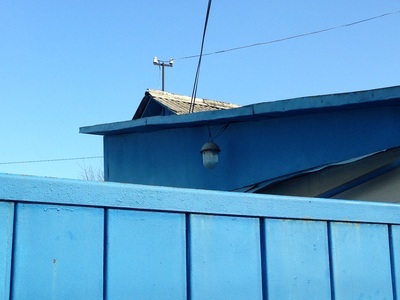 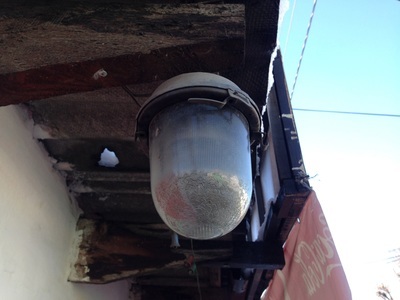 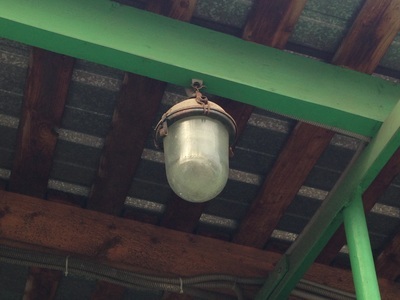 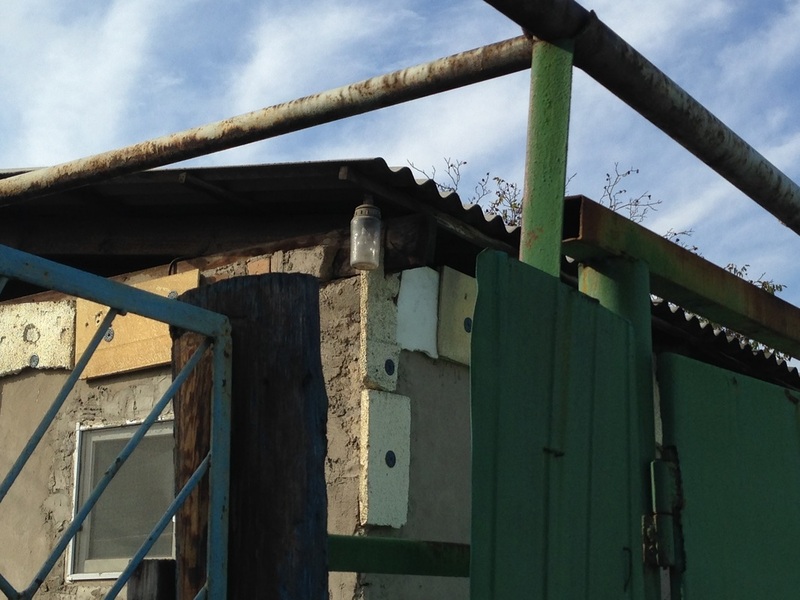 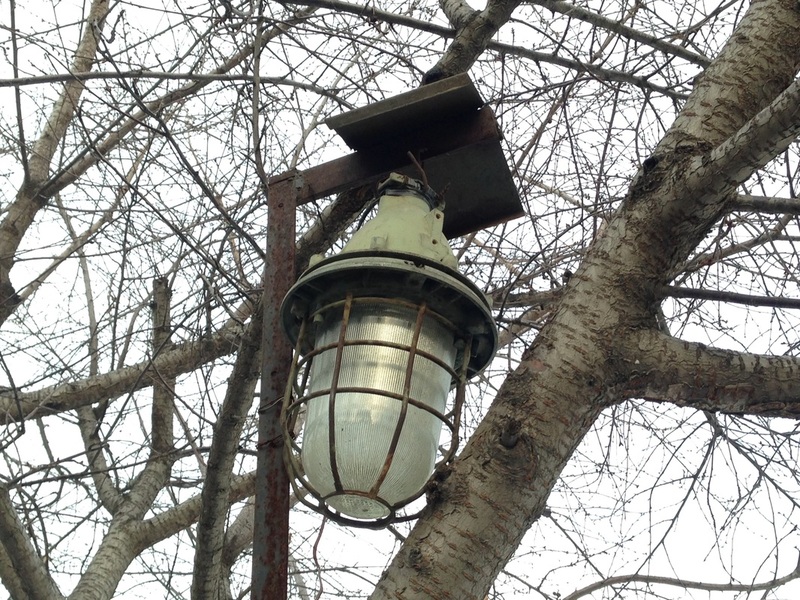 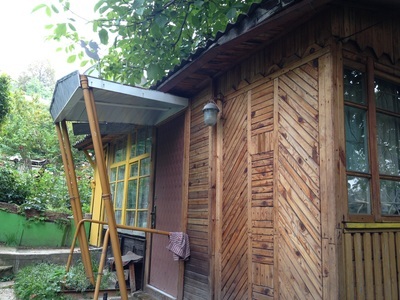 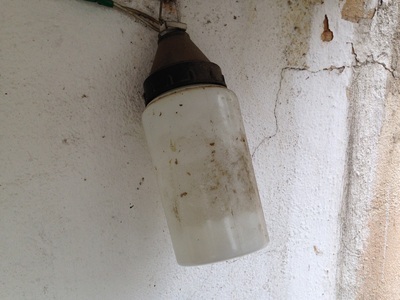 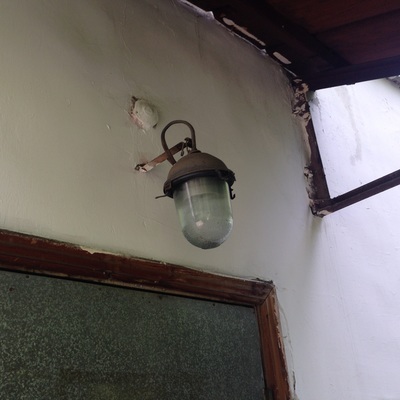 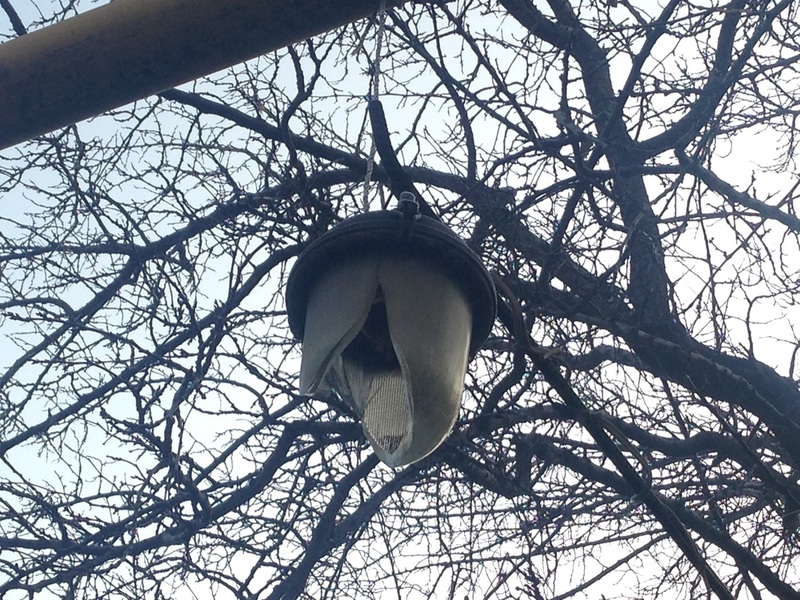 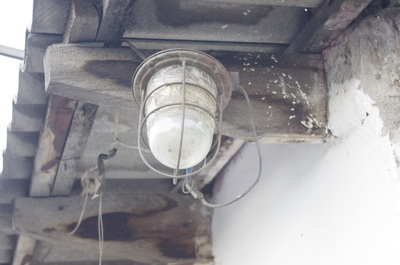 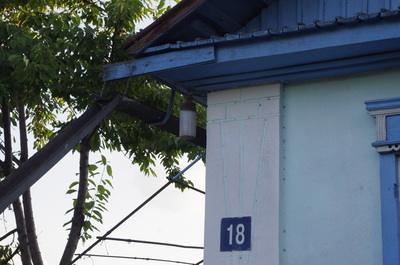 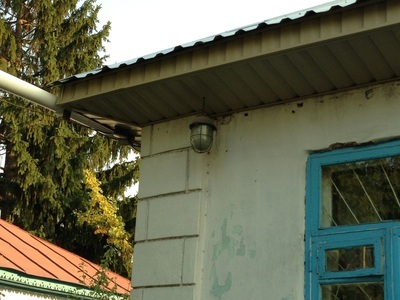 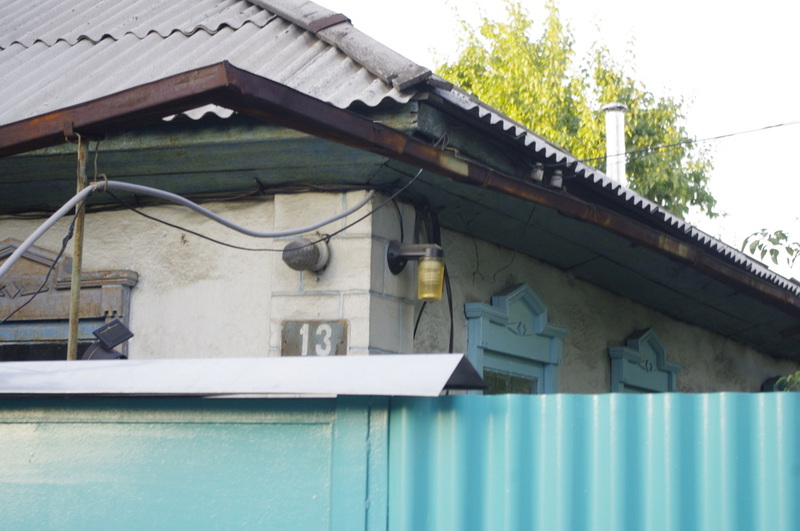 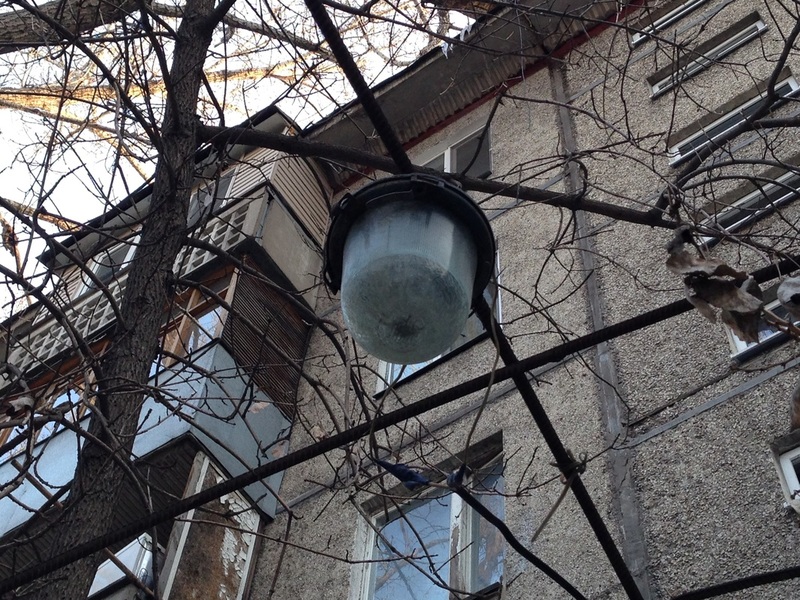 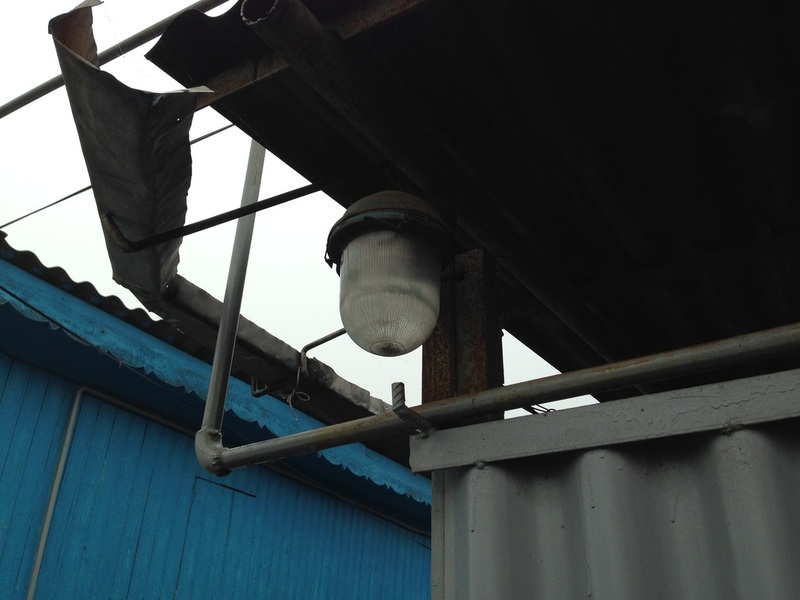 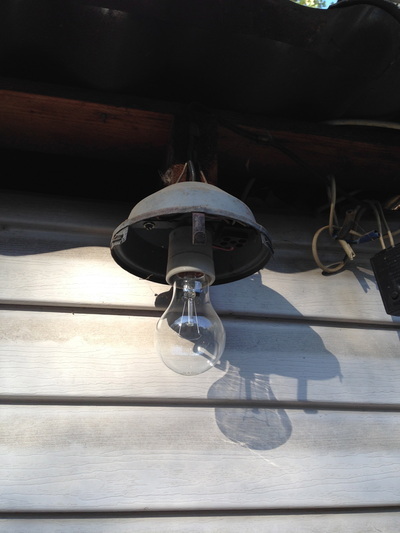 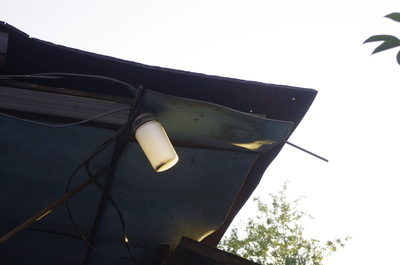 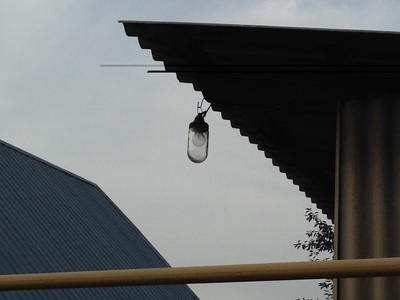 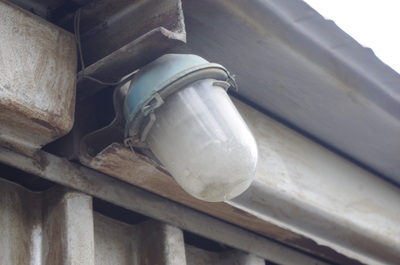 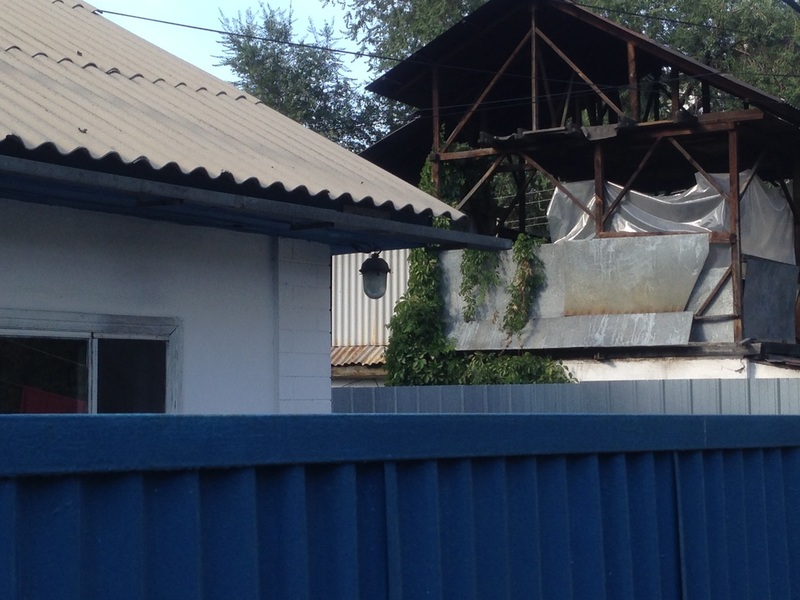 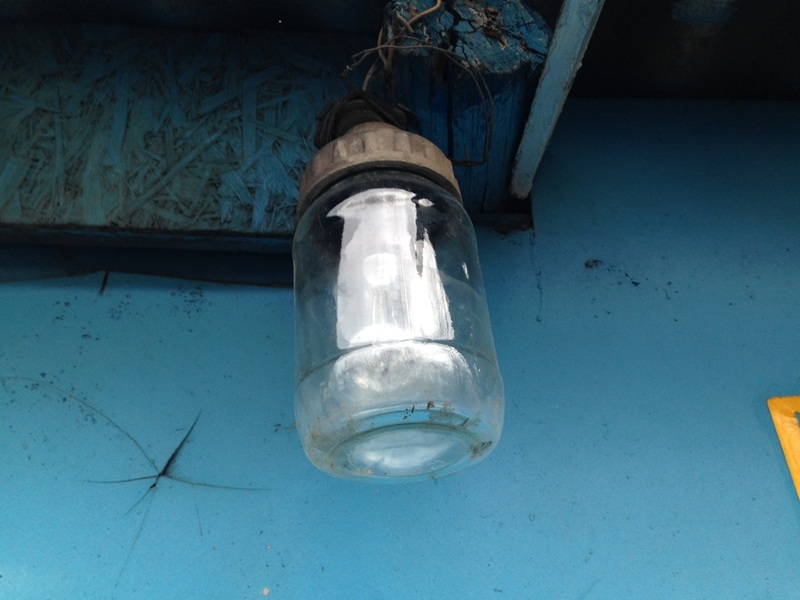 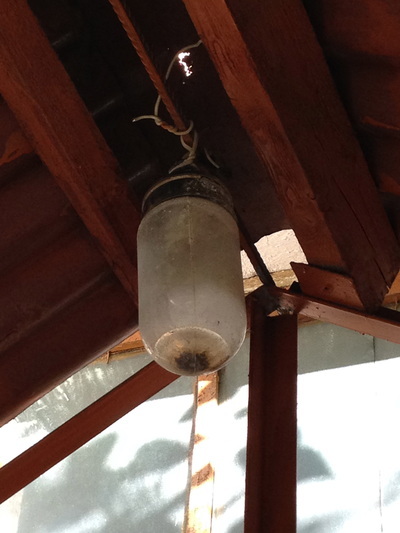 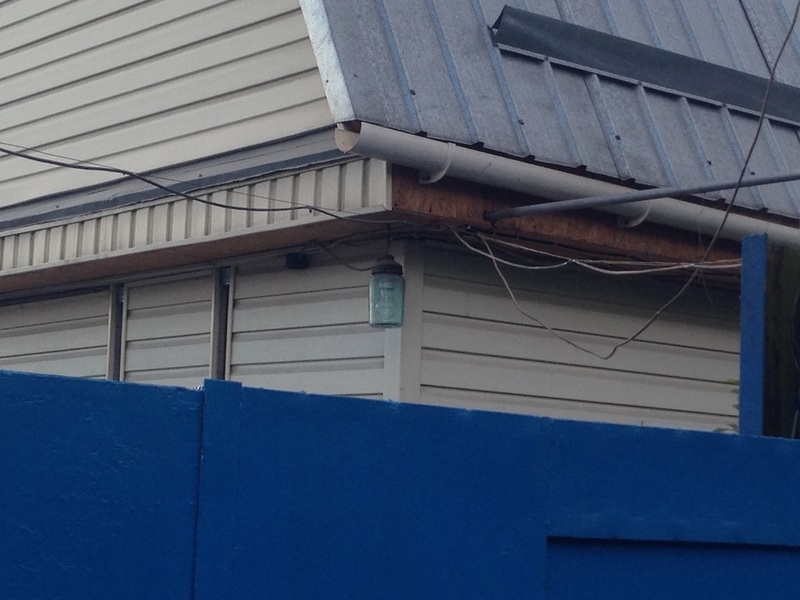 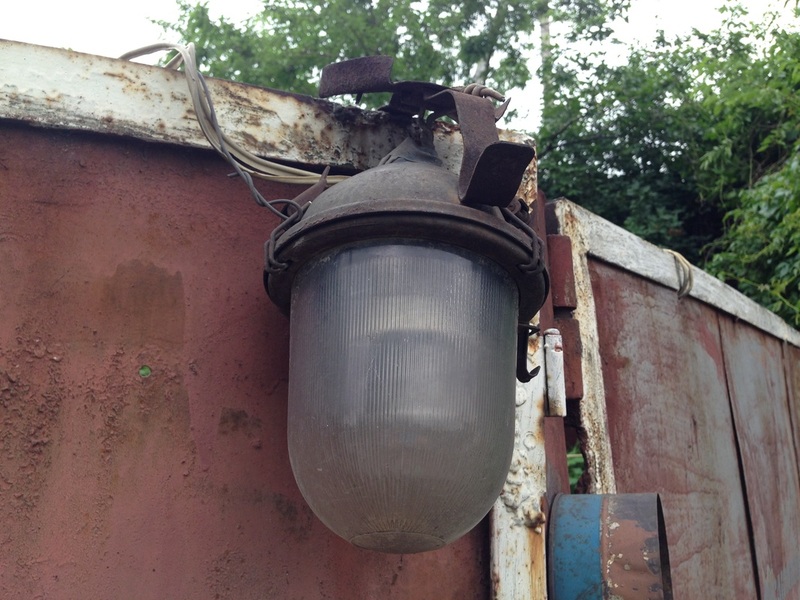 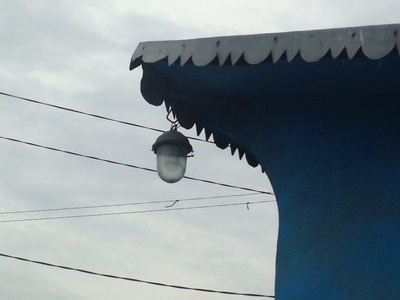 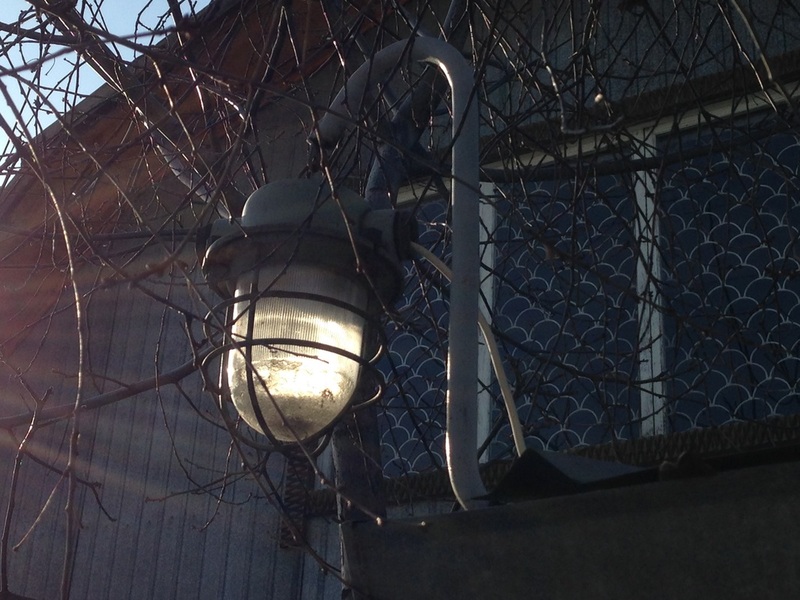 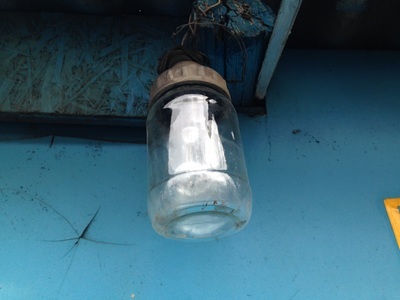 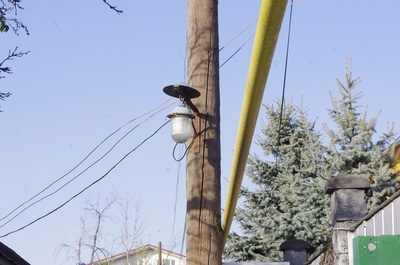 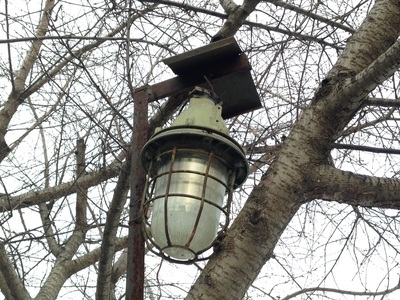 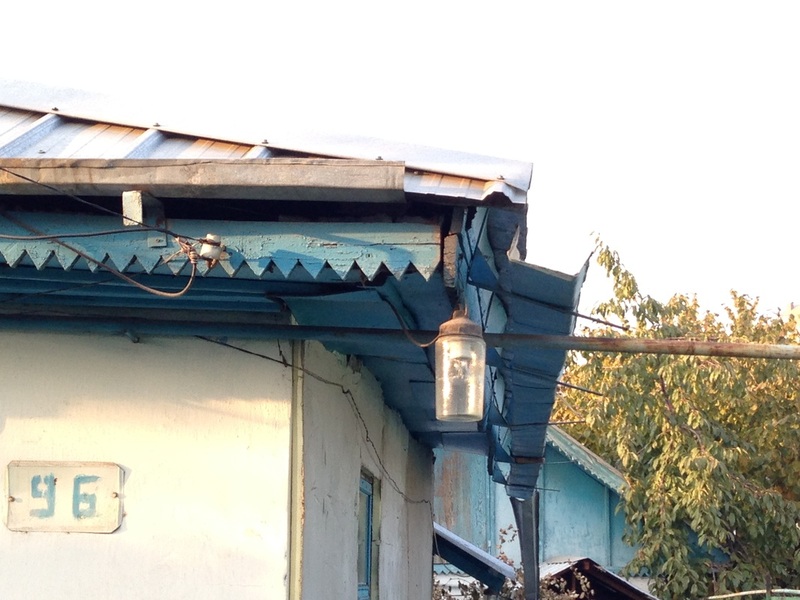 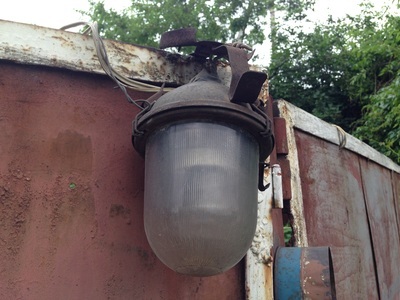 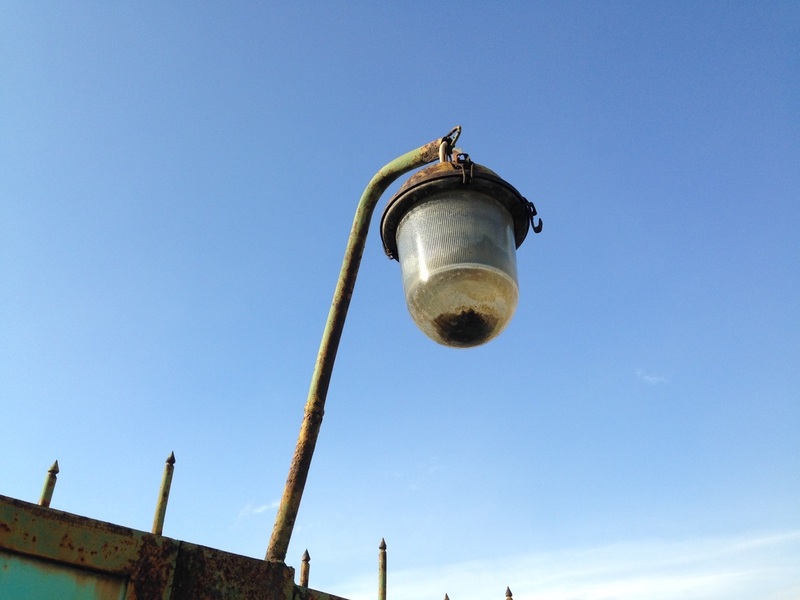 A traditional lantern might have a brass frame fit with panes, but in Almaty the glass is one big bulbous form, stuck onto a metal hat with clamps. 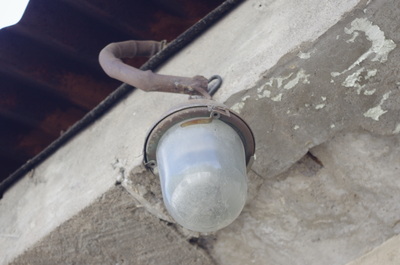 I find it a timeless design, one that projects strength and clarity and minimalist sensibility.